Kian’s hair is a beautiful apricot colour, but I didn’t want him to look too orange, so I used a mixture of light topaz and silver-lined apricot seed beads, as well as browns, black, and pink. 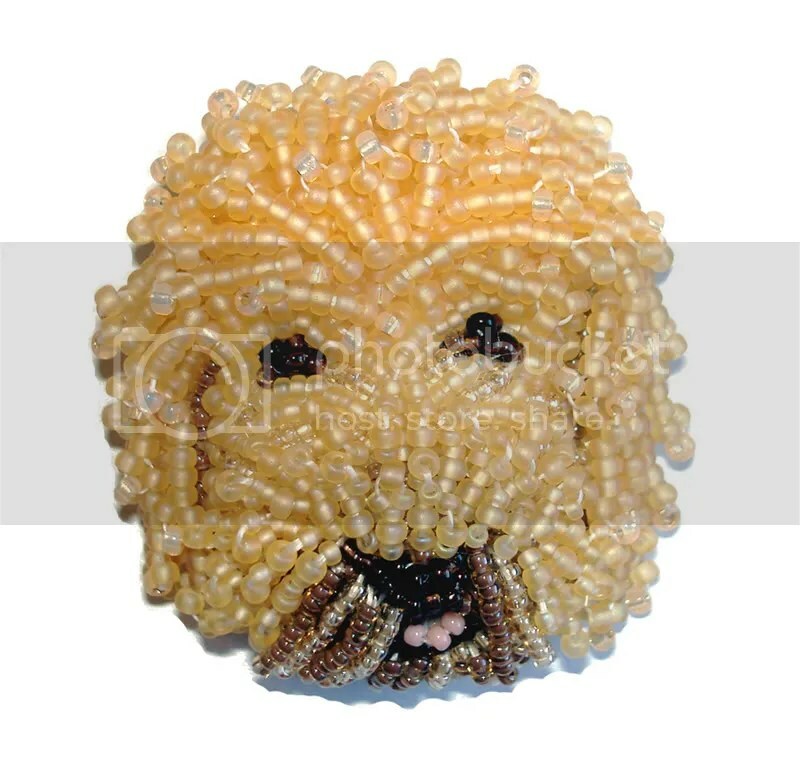 I created this unique ‘curly’ texture by mixing size 15 & size 11 seed beads. Kian’s ears are also tiny fringes that actually move! >Labradoodles are the ultimate family companion. They adore the attention and company of children and they love to join in and play games. 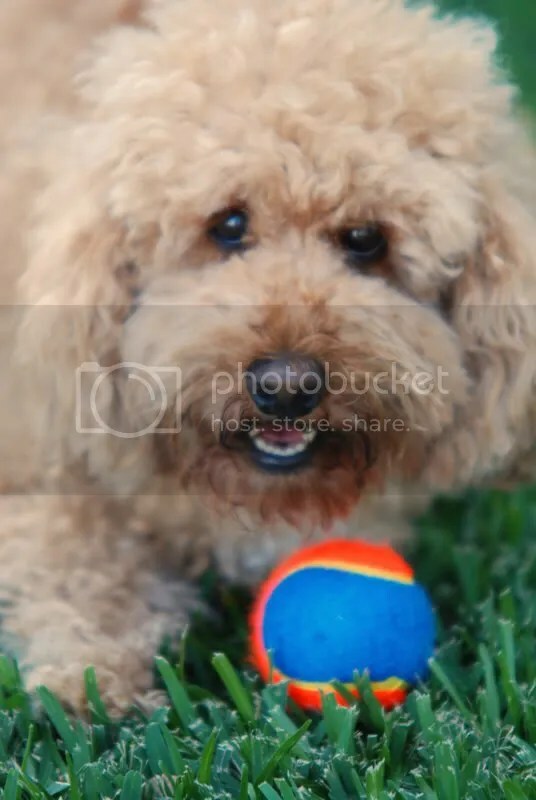 Labradoodles are patient, intelligent, sociable, loving, loyal and kind. >I am Kian’s owner. The pin is gorgeous and so well made. The color is perfect and looks just like Kian. I could not be happier with my little beaded doggie pin. I’ve been wearing it every day to work and everyone notices it! Thank you! >Oh my – he’s adorable, as is your beaded version!Congrats on finishing motorcycle too. >Nice! I have question: When is The Loan Beader going to bead a silver bullet and does she leave one behind after saving the day to let people know that it was her. >What a marvelous job, again! Girl!You must be the Best Beader in the world!I just know if you could(or if they asked you, you would)Sew a beaded BARK neath his curls! >Oh yes, that is a cute one. Both original and beaded! You did a great job! >Incredible!!! I’ve never seen bead work as complicated and intricate as this before. It’s exqusite!!! I can imagine the hours of concentration and the delight and contentment that it’s finished.The dog is adorable!! >Thanks for the comments! Sure, I could make a beaded Harley. Would love to do a bike inspired by an Orange County Chopper, too! >Absolutely fabulous. I love to look at the work you do and wonder how the heck you do it. Love it! >Wowzers! I love this pin. It’s so cute! Great job. >Great job!! This is so cute! >This is wonderful and I like how close to the subject the pin/chain focal piece is! Good work! >The dog is cute but WOW I love the motorcycle! That’s amazing..
>What a cute pooch! The pin is also adorable and a great job! The labradoodle is supposed to be a better choice for people with allergies. >Your work is awesome. Great blog. Found you on twitter. >Nice one LB. You’ve captured him beautifully! >wow. 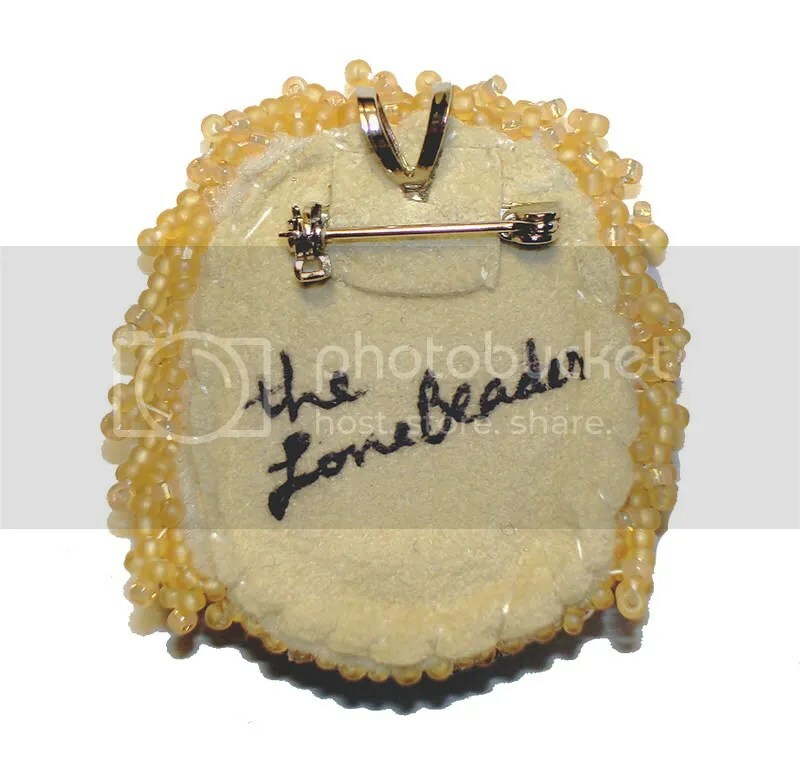 is there anything u cant mimic using those beads?